Dears, I’ve been on the fence regarding adding a pair of quality saddle shoes to my repertoire since last summer, and as of late I’ve been contemplating the merits of chukkas/desert boots as well (Sidenote: does it look best on a girl to go with the real thing, or perhaps resort to a “girls” version, like this from J.Crew? Thoughts?). It’s getting to look like Mark McNairy is going to force my hand here as in his latest New Amsterdam collection he’s taken the best of both worlds and paired it with his always elegantly rounded toe and a red brick sole. The navy suede is the icing on the cake. Beauty aside, they are a bit on the substantial side. I’ll definitely need to see these in person to make sure I wont look like I am walking about in my father’s shoes. Want to make these yours? Head over to the Brooklyn Circus. I suggest you hurry, as some sizes are already sold out. 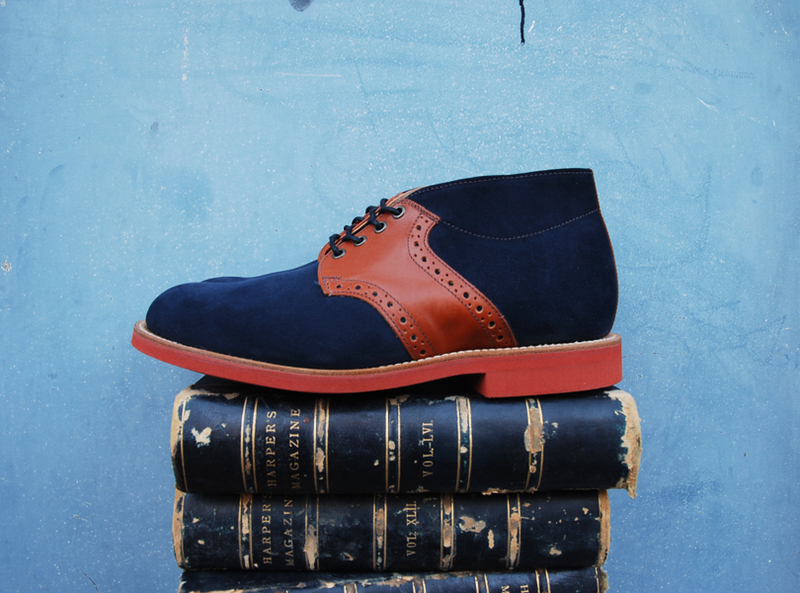 You are currently reading Quite Continental Wants: Mark McNairy New Amsterdam Chukka Boot at Quite Continental.